Conviction • Ruling reverses state's high court, says officer's actions were not a flagrant violation of law. 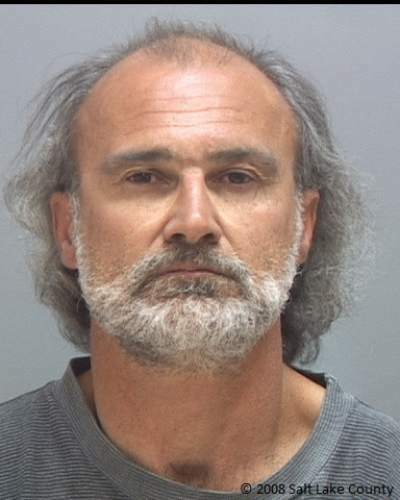 The U.S. Supreme Court on Monday ruled drug evidence discovered by South Salt Lake police after a man was illegally stopped and then searched because he was found to have a minor traffic warrant can be used against the defendant. The majority in the 5-3 opinion said the evidence seized after a suspect is arrested on a valid warrant  even if that warrant was discovered in an illegal stop  is admissible in court as long as the stop is not the result of flagrant police misconduct. The ruling reinstates the conviction of Edward Joseph Strieff Jr., who had been found with methamphetamine and drug paraphernalia during an unlawful stop in 2006. In Monday&apos;s opinion, Justice Clarence Thomas, writing for the majority, said the officer&apos;s actions were not a flagrant violation of the law. But Justice Sonia Sotomayor said in dissent that the decision is a blow to constitutional rights. "The court today holds that the discovery of a warrant for an unpaid parking ticket will forgive a police officer&apos;s violation of your Fourth Amendment rights," Sotomayor wrote, joined by Justice Ruth Bader Ginsburg. Justice Elena Kagan filed a separate dissent. The fourth member of the court&apos;s liberal wing, Justice Stephen Breyer, joined the four conservatives to form a majority on the eight-justice court. Utah Solicitor General Tyler Green said in a news release that the U.S. Supreme Court ruling "corrects an erroneous opinion" by the Utah Supreme Court. "Now courts and prosecutors throughout the country know to follow what has long been the majority rule: Evidence seized in a search incident to an arrest on a valid warrant can be introduced during a defendant&apos;s trial as long as the initial stop did not flagrantly violate the defendant&apos;s Fourth Amendment rights," Green said. Salt Lake Legal Defender Association attorney Joan Watt, who represents Strieff, called the decision a blow to the right to be free from police interference. "As the dissenters make clear, the majority&apos;s decision creates a powerful incentive for officers to violate the Fourth Amendment and detain citizens, even when the officer does not have a reasonable suspicion that they are violating the law," Watt said in a written statement. "In the words of Justice Sotomayor, &apos;Do not be soothed by the opinion&apos;s technical language: This case allows the police to stop you on the street, demand identification and check it for outstanding traffic warrants  even if you are doing nothing wrong.&apos; "
According to court documents, an anonymous caller left a message in December 2006 on a police drug-tip line reporting "narcotics activity" at a South Salt Lake house. Detective Doug Fackrell watched the house for a total of about three hours over the course of a week and saw some "short-term traffic," or visitors arriving and then leaving within a few minutes. On Dec. 21, 2006, Fackrell saw Strieff leave the home and after the man walked about a block, the detective stopped him in a convenience-store parking lot. He identified himself, explained why he was watching the house and asked Strieff what he was doing there, court documents say. Fackrell also asked Strieff for identification and requested that dispatchers run a warrant check. Once he learned of the traffic warrant, Fackrell arrested Strieff, searched him and found methamphetamine, a glass drug pipe and a small plastic scale with white residue. After Strieff was charged in 3rd District Court with possession of methamphetamine and drug paraphernalia, his attorney made a motion to exclude the evidence found on his client, arguing it was the fruit of an unconstitutional detention. The prosecutor conceded Fackrell did not have enough reasonable suspicion to stop Strieff, but argued the evidence should be admitted because its discovery stemmed from Strieff&apos;s lawful arrest on a valid warrant, according to court documents. 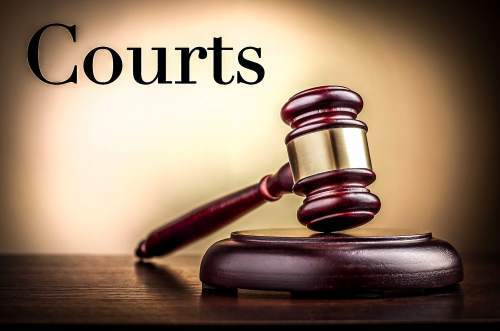 The judge agreed with the prosecution, and Strieff, now 56, entered a conditional plea to misdemeanor attempted possession of a controlled substance and paraphernalia, reserving the right to appeal the denial of his motion to suppress the evidence. The case then went to the Utah Court of Appeals, which ruled 2-1 in 2012 that the evidence was admissible under an "attenuation" exception to the exclusionary rule. The rule bars the use in a criminal prosecution of most evidence gathered in violation of a defendant&apos;s constitutional rights. The appeals court majority noted that the trial judge had found Fackrell mistakenly believed he had reasonable suspicion to stop Strieff and that his discovery of the warrant was not a deliberate exploitation of the unlawful detention. In addition, the search that yielded the evidence occurred as part of a lawful arrest required by an outstanding arrest warrant, the court said. Those factors "sufficiently attenuated the initial illegal detention from the methamphetamine and drug paraphernalia found during the search," the majority concluded. Strieff appealed and, in January 2015, the Utah Supreme Court unanimously reversed the Court of Appeals decision. The state Supreme Court said the attenuation exception is limited to cases involving a voluntary act of a defendant&apos;s free will, such as a confession or a consent to search, and that Strieff was entitled to suppression of the evidence. In its appeal to the U.S. Supreme Court, the Utah attorney general&apos;s office said the stop arose from "an objectively reasonable misjudgment" and not an obvious or reckless violation of Strieff&apos;s Fourth Amendment protection against unreasonable searches. And the state&apos;s appeal contended that the warrant and arrest "all but broke any connection between the prior unlawful arrest and the evidence&apos;s discovery." The Salt Lake Legal Defender Association asked that the Utah Supreme Court decision be upheld and said the case involved the kind of fishing expedition that the exclusionary rule is designed to deter. At the time of the arrest, "Fackrell had no idea whether Strieff was a short-term visitor, or a permanent resident or the pizza delivery man," the association said in a brief. "Fackrell stopped him utterly at random. In short, this was a random, arbitrary stop."  The Associated Press contributed to this story.